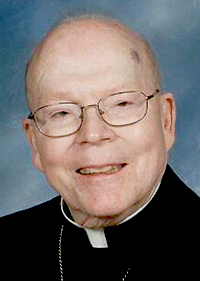 Archbishop Francis B. Schulte, retired head of the Archdiocese of New Orleans and a former auxiliary bishop and priest of the Philadelphia Archdiocese, died Sunday night, Jan. 17 in Mercy Fitzgerald Hospital, Darby. He was 89. No date has been set for the funeral Mass, but it will take place in New Orleans at St. Louis Cathedral. The archbishop will be buried in the crypt of that cathedral, according the New Orleans Archdiocese. CatholicPhilly.com will present a complete obituary on the archbishop soon. How sad a GREAT priest and person!!! !